The Independent India: Aarakshan ban gaya hain votes paane ka naya tareeka. Aarakshan ban gaya hain votes paane ka naya tareeka. 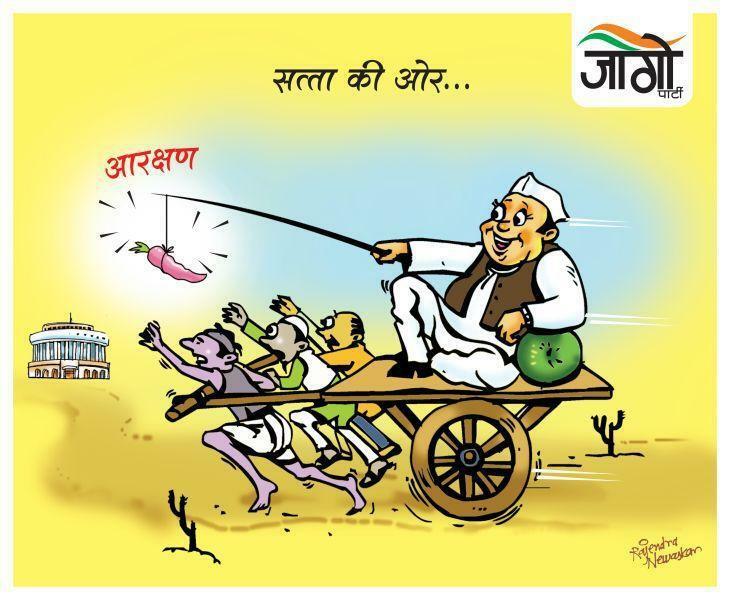 See the Image showing the reality of reservation in politics that how politicians are using reservation as a source of votes in the independent india. How will the country run if there will exist such type of politicians. So this is my message to all the Indian friends that stop cast based reservation in The Independent India.